SNOW, POWDER and more SNOW! Today was awesome!! For me the best day of the season so far!! It did not start that well as they announced lift opening delays all over the Paradiski area due to the heavy snowfall overnight and high winds at the top. However after seeing the crazy queue at the Cachette chair in Arc 1600 because the Mont Blanc chair was still closed at 9.30am (Club Med really has made a difference.) we headed down to the middle station of the Funi by one of the back routes. Great fresh powder to put down our own lines. By the time we got back to Arc 1600 the Mont Blanc chair had opened so we went up to the Deux Tetes. Time for more powder in the Mont Blanc forest. Then back up again and this time into the Malgovert Forest. Back up one last time and from the top of the Mont Blanc Chair all the way to Bourg by a really interesting off piste route. The snow at the top was amazing, the higher forests were really fun, but as we got below the middle station we found the snow very shallow. By the time we arrived at the bottom we were all pleased that none of us had damaged a ski. I would not recommend anyone doing this route until we have at least another 30 cm's of snow down in the valley. If you have old skis or a snowboard, maybe! But in the lower forest section you will need to be very careful. Onto our second longer route of the day. This time from the top of the Transarc down the Col de Chal to Nancoix. Powder and fresh tracks again all the way to the path out. Even the path was an easy ski with few stones around. Finally time to head for home with a fast ski across Les Arcs. A great day and plenty of awesome powder to put fresh tracks down all day long! The pistes were in great condition everywhere we went today with a soft layer on a firm base. The 30 cm's of fresh snow higher on the mountain was just what we needed and with more to come this should be a fun week! Tuesday. Well that was something else. An awesome day down to la Ferme for morning break in Villaroger early meant if not first tracks pretty darn close. Then over to the other end of Les Arcs and La Ferme in Peisey for lunch. Ferme to Ferme as it were. Blue skies, cold , v cold. Snow conditions superb. Met snow heads Alistair and JohnE in Sanglier qui fume at the end of the day: great to put faces to names. @Arctic Roll, La Ferme in Plan Peisey....yikes....how do you rate that experience?
. When I told the crew they were going to 1950 they didn't expect a time machine. We love the 'experience' you don't get anywhere else these days. . Not patronising the family who run it (and let's face it the menu and the three of them are still the same as when we first went 10years ago). And we'll keep going, cos they know us and we like them and their grit to keep it running. Here we go again!! Powder and more Powder. It was another awesome day!! This time over in La Plagne with fresh tracks, nice easy meadows, some steep long powder fields, plenty of fresh snow in the trees up above the waist and even a bit of jungle fighting when we found ourselves stuck in the bushes! Soon we were away from the crowds and although I still cannot manage a full day, I try to make the most of what is possible before I must rest. We stayed mostly around the top of Crozats, Inversens and the Arpette chairs. Hitting the off piste in all these areas and down to the lifts below. A really fun day away from the surprisingly busy pistes. The pistes we did ski on both sides of the Vanoise Express were in good condition during the morning, but became quite hard packed in places by later in the afternoon on our way home. With a quick drink at the Pierre Blanche, we worked hard most of the morning and early afternoon before heading back to Les Arcs and home. Hope you enjoy the photos over on the Les Arcs Winter facebook page! Powder up to our heads at times and well over our knees all day!!! It's been snowing during the night and it's still snowing hard this morning. We're keeping an eye on the lift status after Monday's late start. @Arctic Roll, Yes it is an interesting and somewhat different experience to elsewhere ! And I thought it could not get any better!! DEEP LIGHT FLUFFY POWDER all day long!! After more snow overnight we headed up just as a few more lifts opened and found the pistes in great condition. As the tops on the Les Arcs side were not open yet we headed over to La Plagne side and the top of the Pierres Blanches chair. Our first run down through the trees was amazing. Deep light fluffy powder all the way back to the bottom of the chair. Back up top and after a coffee stop to warm up (it was very cold again today) they just opened the Crozats chair so up we went. Even better than we could expect, there is something special about being one of the first down a long off piste route and the snow was even better than yesterday if that was possible. Light, fluffy and yes, above your head as it sprayed up on every turn! After making quite a few runs down different routes to the bottom of the Bauches chair including a couple where we had a little jungle warfare at the bottom! Yuk, but it was worth it! Our legs were getting tired so we headed across the lifts to the top of the Arpette chair. Time to go off the back again and down to the Vanoise Express. Oh boy!! Nobody had been down the long deep open meadows from the steeper side. After a very careful traverse, it was a little worrying to cross the large open face, but with handles at the ready and looking everywhere for even a tiny indication of a possible slide, we made it to the decent. Powder, deep and light, up around our ears. You really could have been in Canada, Colorado or even Japan!! Finally down to the forest and a long traverse out and with tired legs it was time to head for home. Another amazing day!! I hope this season just keeps on going and going. For me, I am still on the recovery cycle and need to be careful not to do too much, but it was a special day today. The blue sky came out, the wind dropped and the snow was amazing!! The pistes on the way home were more warn than in the morning with moguls even on some blue runs, but the fresh snow has made a big difference and with the busy weeks soon approaching anyone coming out should have an amazing time! If you are interested in looking at the photos from today you need to go to the Les Arcs Winter facebook page. Enjoy!! What a day! The snow was fantastic everywhere and we were treated to decent visibility from mid morning till mid afternoon. I spent the day riding powder around the arc 2000 walls and the area around comborciere. I have a feeling my last day will be a let down though as it’s snowing again and the Avi risk is going up to 5, anyone local have any idea what that might mean in terms of lift and piste closures? What a day for the weather god's! For all those who ventured out, I hope you enjoyed the fresh snow and stayed safe. A friend of mine has reported that in Les Arcs, most of the top lifts remained closed all day, but that the Carreley did open for a while although they would not allow him to ski down into the Arc 2000 bowl. The snow depth on the lower slopes was around 15 cm's and made the pistes easy to ski in the morning where there was powder on the firm base. By the afternoon the soft snow had turned to bumps even on the blue pistes, but in the trees was still good although there were deeper snow drifts in places. Right now it is still snowing on the mountain and it will be another powder day tomorrow. 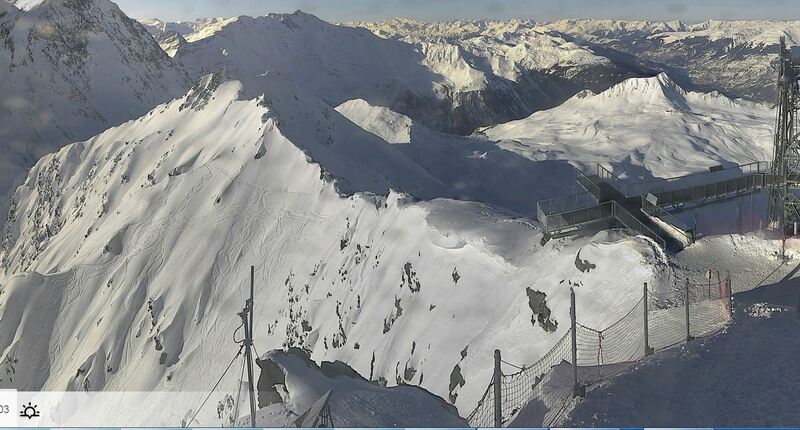 The French Meteo is reporting that they expect 15-20 cm's of fresh snow by the morning above 1800 m. The snow quality is likely to be wet and heavy below 1200-1400 m, or even higher with the effect of the foehn wind. Higher up the mountain the snow is likely to remain drier and might have a small crust in southern facing slopes. During tomorrow a little fresh snow is still expected in the early hours which might be wet (rain) up too around 1700 m. It should also become less windy as the day progresses. They also warn that a single skier could be sufficient to trigger an avalanche of slab, especially on slopes with little sun and above 1700 m. A skier could also cause the sliding of wetter snow. Anyone venturing off piste is advised to be very cautious. I hope you have found this information useful. Stay safe out there and I hope to be back enjoying the powder again shortly. 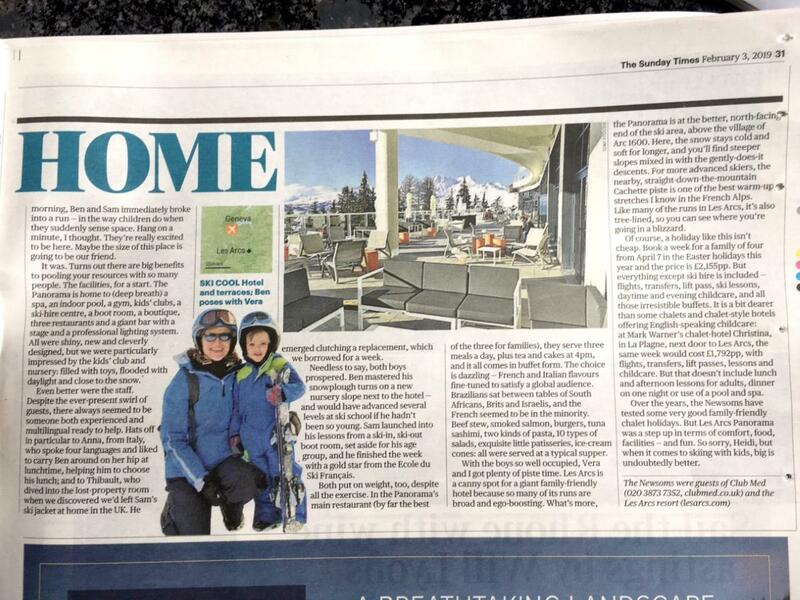 Article in todays Sunday Times travel section on the new Club Med above 1600. 90 million to build. Amazingly for an all expenses paid holiday for 4 she thought the place was fab! Hopefully readable from this. @thefatcontroller, Thanks for posting the article. It is not suprising that he liked the place. I would also like a free holiday for the family there. The retail cost of the 4 of them going there would I suspect leave little change out of £10,000 Nice to have club med pick up the tab. When I first saw your scans of the newspaper I was worried that you were violating copyright, but then I am not sure that reproducing advertising would be prosocuted be the copyright owner. Apart from being an eyesore the new Club Med has had little effect on Arc 1600. I came across one Club Med customer in the lift pass office trying to extend his lift pass (and family's) by a single day and that was about it. There is maybe a little extra traffic down the piste and lift queues. 1,000 extra skiers have been absorbed witout any problem. In fact when I ski past the place and last week I did this couple times a day, I saw few people going in or coming out. Even at skischool start times. It was good to meet up with @Arctic Roll and @Alastair last week; they are good guys with an great knowledge of Les Arcs. I'd love to ski with them some time but my knees are starting to give me real problems. Last Friday the pain was so bad I was reduced to a little playing in the bottomless powder at the top of the Combettes lift and a single slow crawl down the Mont Blanc piste. I await a knee replacement, which hopefully will be done by next season. I’m arriving on Saturday and would like to watch footy at a pub. I’m staying in Plan Peisey, I hear the flying squirrel is no longer an option. Can you suggest anywhere else? @johnE, Alistair good to catch up with the two of you as well. Given the state of my body now I'm home, I think I too was a little ambitious in the powder over the past week! 1,000 extra skiers have been absorbed witout any problem. 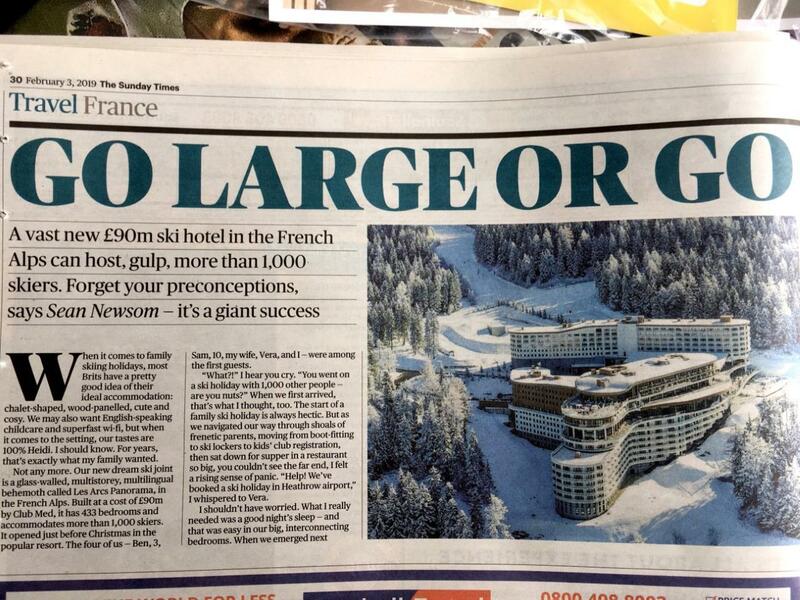 Is there 1000 extra skiers though. 1000 more beds doesn't automatically equate to that. It demands on the demand. Do any ski resorts publish figures for how many skiers are recorded as using the slopes on any given day? Also would you still recommend having snow chains at that time of year? Last time I went skiing the roads were kept immaculately clear? There are carparks around the village to use and fair size near those appts, you take a ticket as you enter the general village area and pay based on the stay length when you enter the ticket to leave the village. So in effect it's all pay. We arrived beginning of 3rd week March last year to heavy snowfall and many were having to use chains for upper 3rd of approach road, we were equipped and didn't need them but unless you've appropiate tires I think you'd be unwise to not be prepared in some measure to prevent problems. @aroma111, I take it you have already looked at the web site https://en.lesarcs.com/car-parks-arc1800.html IIRC correctly there is quite a big car park near the Lauzieres apartments. I park in in the summer when I go to that area of 1800. Yes I would reccomend having chains. The only times I have needed chains going to Les Arcs has been at Easter. @johnE, @Arctic Roll, yes - good to meet and hope to see you again soon. @aroma111, as @johnE says have a look at the website for details. I'm in Belles Challes (basically the same building as Les Lauzieres ) and park for the season in the Charvet covered car park which is underneath the bus station. Access to the building from the car park is straightforward (up in the lift to the top floor, then you can see the entrance to BC as you turn left into the centre). Alternatively there is open air parking a little further up the hill which is signposted "Parking Lauzieres" or something like that which is opposite the building. A word of warning to anyone using the Charvet covered car park - the ground floor gets full quickly and going off the ground floor involves very steep ramps which can be a problem if you have a car with limited ground clearance. If your approach/departure/breakover angles are less than around 14.5 degrees expect to hear the grinding of metal, as I discovered in an E Class last year. Yes, they do a good job with the roads but I would still recommend you carry chains! IMHO take snow chains with you and learn how to use them. Snow tyres is of course a must. I arrived to Les Arcs 1800 this Saturday evening from GVA after a non stop 5 hours drive. Last third was snowing heavily. Lucky for us it didn t caught on the roads till we got to 1800. Many cars stopped after Bourg St M. in order to put snowchains. If we arrived half an hour later we would have needed the snow chains too. Snow tyres is of course a must. I respect your experience but it's entirely personal. I have friends who drove their entire life without a safety belt and nothing happened to them (except an occasional fine). I started my answer with IMHO. IMHO winter tyres are a must to get there. My philosophy is extremely simply: the best way to resolve a problem is to avoid it. Every time I'm driving into/out the mountains in a snowy day i am glad i have winter tyres. I never had to put snow chains but many times I drove on snowy roads, be it January to Serre Chevalier (everybody stopped before Montgenevre) or last april to Tignes Le Lac. Another review of the new Club Med, not sure if it is the same writer or it was on the same juket, sorry trip paid for by Club med that resulted in an open and impartial review. @drporat, It is compulsory to put snow chains on when the blue signs tell you to. Snow tyres are optional. @drporat, Sorry I must apologise my reading of your post was that you thought chains were your personal humble opinion and that snow tyres were compulsory. I got it the wrong way round. It is compulsory to put snow chains on when the blue signs tell you to. Snow tyres are optional. In 30 plus years of visiting Les Arcs at least twice per season we have never had winter tyres. We've always carried snow chains and have had to use them fairly often. However this may well change for next season as I thought I read somewhere that it is going to be made compulsory to have winter tyres fitted to vehicles used in the Saviore for the winter season beginning in the 19/20 season? In 30 plus years of visiting Les Arcs at least twice per season we have never had winter tyres. We've always carried snow chains and have had to use them fairly often. But seriously, your tyres are clearly an important part of your ability to stay on the road and to stop quickly and safely. Anything you can do to assist in that is beneficial and worth considering. However this may well change for next season as I thought I read somewhere that it is going to be made compulsory to have winter tyres fitted to vehicles used in the Saviore for the winter season beginning in the 19/20 season? Broadly correct but details a bit sketchy. @Layne, I suspect that few people have either the spare cash to pay for a completely new set of wheels/tyres which they would most likely only use for a week or two per year or the space to store them. We always saw it as if we couldn't get to our destination on our normal tyres then the chains would get us there. Which they did. Once you’ve made the initial outlay for Winter tyres it extends the life of your normal tyres on the basis they are stored somewhere while you have your Winters on. If you don’t live in a town it’s a worthwhile expense anyway, not just for skiing. It helped me with the pain of shelling out for them anyway. @Layne, I suspect that few people have either the spare cash to pay for a completely new set of wheels/tyres which they would most likely only use for a week or two per year or the space to store them. Well, they aren't just for one or weeks of the year. They make it safer to drive in all winter conditions - even in the UK. And as Spin Doctor points out in the long run the costs are minimal. We always saw it as if we couldn't get to our destination on our normal tyres then the chains would get us there. Which they did. Indeed. I've done a number of trips to the Alps on normal/summer tyres myself. But that was when I didn't know winter tyres existed. I do wonder however how many people will fall foul of the new laws coming into effect next season and what will be done to enforce them. Simply stopping people from completing their journey to their holiday destination seems a bit draconian, but that could well be the end result. Well, presumably it would invalidate your insurance so on that basis alone you shouldn't do it. I guess more people drive to France than they do to Austria and Italy so yes it may have an effect. Or maybe more Brits will come round to the idea of switching to winter tyres. I guess it's down to perception really. My perception is that circa £1,000 (This is the approximate cost of a set of snow tyres and steel wheels for my car after some research when I bought it about 3 years ago) is quite a bit of cost (yes these would last for many years, but then so will a set of chains if properly looked after), compared to the price of a set of chains. I've coped very well without winter tyres so far so I'd not buy them as it stands especially as I've no where to store them when not in use, although if I were to move somewhere that I would need winter tyres more often or I got stuck without them then I'm sure my perception would change. When the law in France changes next year, I'll either have to bite the bullet and pay out or find another way to travel. @Alastair, how are you finding Belles Challes? I was there last week and it was fairly rowdy, lots of young groups making noise all night. Maybe I was unlucky but I had a French guy above me who basically shouted all night long, he sounded just like Vincent from La Haine, was quite the bummer. Fortunately the snow was the best I've ever experienced in the alps in a single week and I had headphones and earplugs but I would be hesitant to stay in that block again even though the location was perfect and the price was good. @Minion1980, it varies a great deal from week to week depending on the nature of the group(s) booked in. On weeks where the more rowdy groups are expected then a night watchman is available to sort out any problems. Unfortunately the building does attract groups of the more budget conscious and these tend to be younger. The sheer size of the 11 floor central atrium doesn't help. Having said that, I haven't experienced a neighbour such as you describe - you had bad luck there! I can't say the noise has significantly disturbed me more than a handful of times in a season and it hasn't caused me to regret buying an apartment in the building - I was aware of the likelihood of some noise when I bought. As you say, the location is spot on. Saw these tracks off the Glacier, where do they lead to, look mighty scary!!! @Alastair, ahh ok you own, nice! Yes it sounds like I was unlucky and perhaps that week was a key week for younger people being a cheaper part of the season though also one where you;d expect some half decent snow. The guy above me was particularly crazy! I saw the posters in the lift for night managers but by mid week they'd been ripped down I imagine by the partying groups, also broken beer bottles in the lift that morning haha, oh to be young again. @thefatcontoller,These routes eventually join up in the valley with the route off the back of the Grand Col in the national park, ending up at the chairlift above Villaroger. Scary traverse over the cornice and then very steep slopes above cliffs.......No thanks!